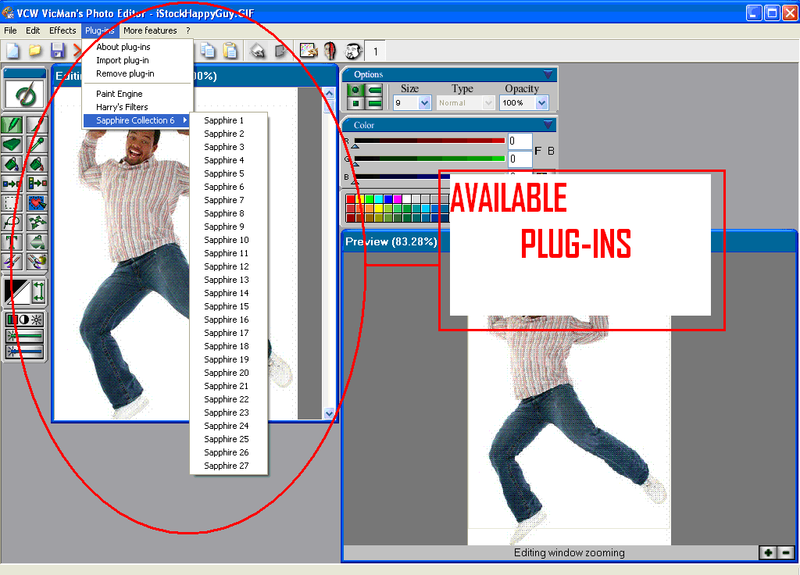 If plug-ins for filters is enjoyed by you, then you will really enjoy working with this software as it comes with number of plug-ins. Classic that like emboss and ripple, tremendous warp, caricature tool are examples of some plug-in present in this software. If you are still not satisfied with the range of filters available then Adobe Photoshop plug-ins are also supported by this software. Contains more than 100 in-built filters, effects and transformation. 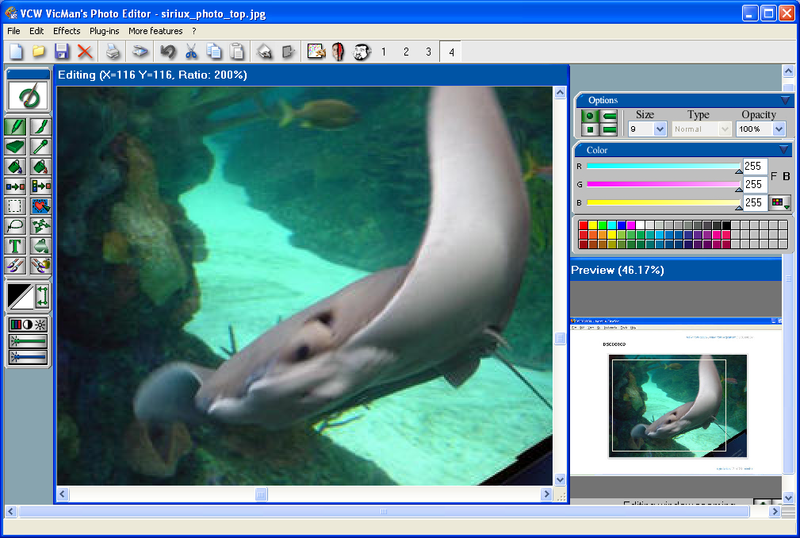 It can preview and edit the images at any scale. 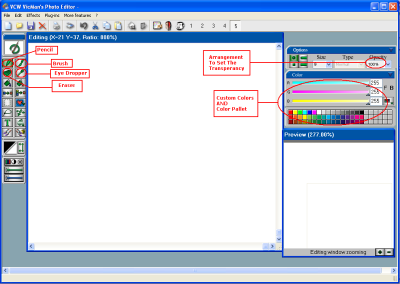 You can select the brush, pencil, or erasers set the transparency and customize new images as you do on the paper canvas. You can also select the colors with the help of eyedropper, also can paint gradient colors, also addition of anti aliased text in any picture is also possible. Rotation, waves, twirls, mirrors, fish eye effects are some of the additional features available in this software. It also supports the filters which are Adobe Photoshop compatible. One better feature is at the time of installation you get to view animated tutorials of this software. 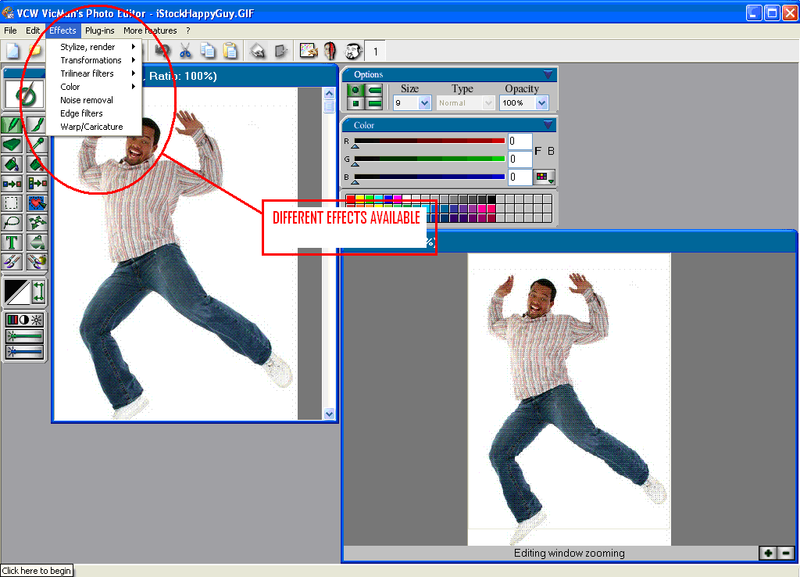 Some of the disadvantage of this software are; Export of gif format is not possible till you become a registered user for this software. 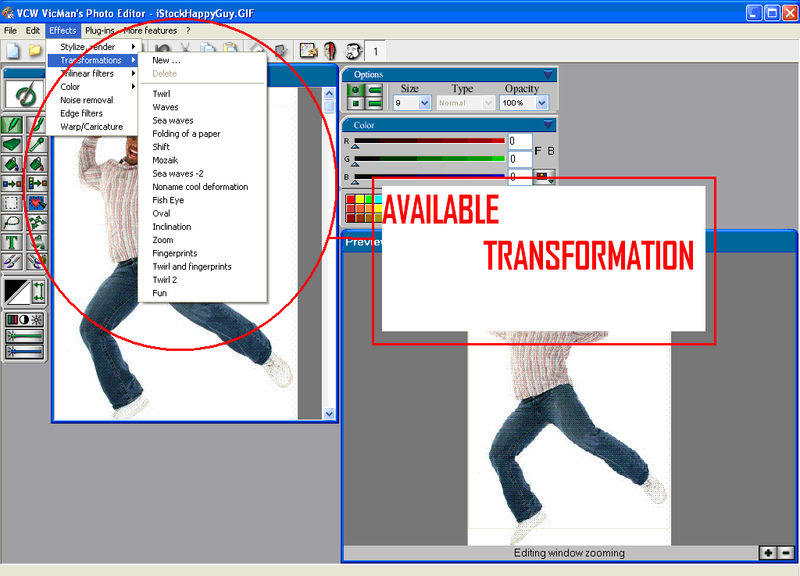 Opening of more than two images is not possible using this software. This software is not more primitive in case of competition. Filters produce good images but editing and painting tools are less versatile in case of this software. Overall this is a good editor but not as power full as Sheriff Photo+ or say Pixia.